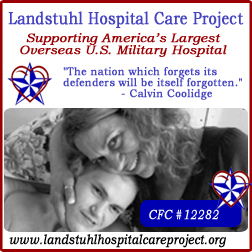 I was hurt after only one month in Iraq during my second deployment and was medevac'd to Landstuhl Hospital for surgery. When I came out of surgery, I ultimately received support from LHCP. I'll never forget now I felt to receive help from complete stangers when I was in such rough shape. It was a bit emotional, that people out there who didn't know me, really cared about the situation I was in and wanted to help. LHCP made a lasting impact on me and really helped me through those trying times. Your contributions and support enables us to make a real difference in the lives of the brave men and women who serve our country so far away from home. Thank you for your support.